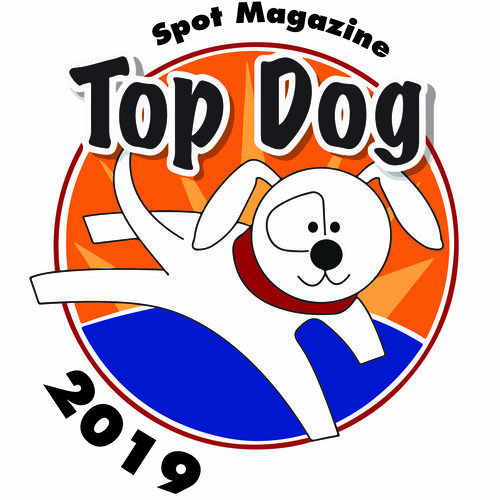 This time of year Spot likes to do a roundup on all things pet around the Willamette Valley, a nice little year-end wrap-up of sorts, perfectly times to help celebrate our 2009 Willamette Valley Cover Model winner. Here, join Spot’s Willamette Valley scribe, Camilla Mortensen, in an exploration of all things pet in the Willamette Valley. The rainy season has hit with its usual cloud and chill, but around the Willamette Valley there’s been a sunny outlook for pets all year long. Businesses have sprung up and expanded, and efforts to find forever homes for pups and kitties from Cottage Grove to Albany have seen great success. Rainy days may diminish the appeal of your local dog park (even though you know your pup needs to get out! ), but don’t let the weather keep you home. Make tracks to one of the many pet-togethers around town! LexiDog Boutique at 5th Street Market hosts frequent events with featured activities, wine tastings, adoptables from Greenhill, and more. Just south of Eugene, Opportunity Barks a daycare and boarding facility hosts canine socials every Sunday. As the holidays approach pet stores and rescues alike are preparing doggie socials and holiday happenings for you and your furry ones. Check the websites below for specific events. If you’re one who won’t let weather keep you inside, Springfield’s 32-acre Jack B. Lively Memorial Park is going to the dogs. Four acres of the park are now dog park, with a special grass seed mix designed to self-heal after being stomped by the romp of pups’ feet. Also at the park is a new playground for kids, and new picnic shelters. Those who love to shop will also want to visit Rainbow Pets, a new addition at Delta Oaks Shopping Center in Eugene. Rainbow pets will also host events featuring adoptables from Greenhill, in addition to birds, reptiles and fish. Noteworthy organizations working in rescue can also be found in smaller Willamette Valley towns. Cottage Grove’s North Star Rescue and Junction City’s Claymore Waggin’ Inn are among those doing great work on behalf of the animals, as are Safe Haven Humane Society of Albany and Heartland Humane Society in Corvallis. Eugene is known for its hippie tendencies, and so naturally has its own natural/holistic pet store. The Healthy Pet hosts seminars on a variety of topics plus adoption outreach events. Pressed for time? The shop recently started a bicycle delivery service for local customers. Lane County Animal Services in Eugene has in the past 18 months or so gone from a beleaguered animal control agency that euthanized thousands of stray pets each year to a more forward-looking agency with a “save adoptable animals policy” that has greatly reduced euthanasia. One way LCAS has worked toward implementing a “no-kill” philosophy is by helping reduce the number of Pit Bulls through a Bully Breed spay/neuter voucher program. These breeds historically land in Oregon shelters more than others, and are often the hardest to place in forever homes. LCAS’s Kylie Belachaikovsky says, over 60 Pits have been fixed so far; 40 more are scheduled for surgery, and vouchers remain available. Belachaikovsky says, “These were dogs at high risk for unplanned litters, and the surgery was completely unaffordable for the owners without the voucher.” If each spay prevented just one litter, that’s 600 unwanted Pit puppies that never arrived. The program is part of Save the Pets’ new “Project Spayship” providing spay/neuter assistance to low-income residents of Lane County. It supplements the work of the Willamette Animal Guild (WAG), which has performed 7,507 spay/neuter surgeries, staving off the births of over 37 THOUSAND unwanted animals since it opened in 2008. The folks at WAG say their surgeries have prevented the birth of more animals than would arrive at all Lane County shelters in a period of over six years. Pet People will remember Cesar Millan’s visit to Luv-A-Bull Pit Bull Rescue in 08 to help tame “El Diablo,” a Chihuahua so vicious he was too much for the experienced Pit Bull rescuers. After El Diablo was reformed and featured in a Dog Whisperer episode, rescues in Los Angeles reached out to Luv-A-Bull’s Executive Director Liesl Wilhardt for help finding homes for Chihuahuas in need. The first batch arrived February 09 and were successfully homed in the Northwest. Since then, several more batches of Chihuahuas have come for rehoming, as well as Pit Bulls sponsored by celebrities like Grey’s Anatomy’s Katherine Heigl. As the success of the small dog program spread. Greenhill developed a Best Friends LA program that transports small dogs from the City of Angels to be placed in and around the Emerald City. The slightly higher adoption fees customary for smaller dogs actually helps boost the harder to re-home larger dogs. Alas, the big outdoor event of the year is over. If you missed the world-famous Ferret Agility Trials (formerly the Ferret Olympics, until the human Olympics objected to the name) at Emerald Park in August, you’ll have to wait ‘til next summer to watch the dirt digging, yawning, tube running — and everyone’s favorite: the paper bag escape! The event is a fundraiser for Lane Area Ferret Shelter and Rescue. And just like it sounds, it’s a crackup and a blast. Also helping raise funds for pets in need this year is the new Coffee for Canines in Eugene. The District nightclub co-owner Libby Adams wanted to use non-clubbing daylight hours to help dogs whose people couldn’t afford needed veterinary care. So during the day, Coffee for Canines serves up caffeine and free wifi, and the satisfaction that comes with knowing their money is helping provide care for sick and injured pups. As winter settles upon the Willamette Valley, those in the know won’t be lacking for recreational outings with their best friends. Get out and enjoy! And if you discover a petventure that needs to be shared, let us know! 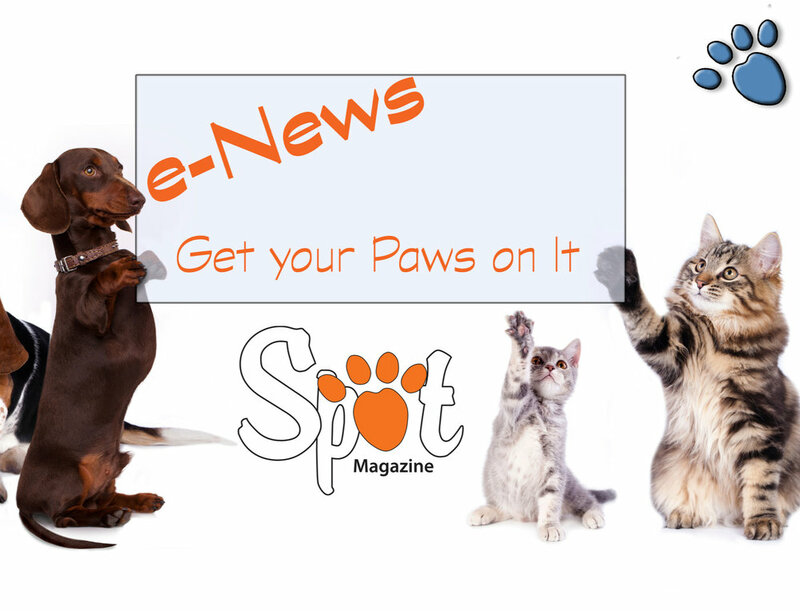 Spot loves to howl about great new stuff for pet lovers! Did we miss your pet-oriented business or rescue? Let us know and we'll include you in a future issue of Spot - click here to get in touch! Posted in Willamette Valley and tagged with Willamette Valley, Events. November 1, 2009 by Camilla Mortensen - Spot Magazine.